If there is one word everyone is afraid of, it’s ‘bankruptcy’. But is it as bad as we think it is? We ask an expert to debunk the myths. With more than 16,000 people declaring bankruptcy in Australia every year, it is possibly a lot more common than you would think. However, considering how easy it is to apply for a credit card, personal loan or other forms of finance, it can be very tempting for people to overcommit themselves and spend more than they can afford to repay. But is bankruptcy really the scary thing most of us perceive it to be? To find out more about the pros and cons of declaring bankruptcy in Australia, I spoke to Jonathon Colbran, Restructuring and Recovery Partner at RSM in Canberra. Why do people declare bankruptcy? Our clients in Canberra are usually mums and dads or people who have been directors of businesses which have failed. Generally, they’ve accumulated too much debt on credit cards or personal loans which have become unmanageable, often because they’ve experienced ill-health, some sort of trauma or simply because they’ve been living beyond their means. Commercially, suppliers often ask directors of companies operating businesses to sign a personal guarantee, which can make them personally liable for any debt their company owes if they go into liquidation. In this case, if the debt is larger than what they can afford to repay using their personal assets, it can result in them going bankrupt. As a broad outline, after becoming bankrupt you work with your Trustee to fill out some forms that tell the trustee about your income, your assets, your debts and your personal affairs. Some of your assets will be collected and sold to pay your debts. Your income will be assessed twice a year annually and you may pay a portion of your income to your Trustee for the benefit of your creditors. During your bankruptcy, the Trustee will communicate and report to your creditors about many things including the outcome of their enquiries and about your affairs and the dividend they can expect to receive. Generally, after 3 years you will be discharged from bankruptcy. If you become bankrupt, there are certain assets you will retain such as ordinary household goods, cars or tools of the trade under specific amounts, as well as some assets which you will likely lose, such as real estate and money in bank accounts in excess of $1,000. Is it any different when a business declares bankruptcy? It is very common for people to confuse terms such as bankruptcy, receivership and liquidation and what they mean. In Australia, the Bankruptcy Act deals with individuals and partnerships of individuals, not companies or corporate structures. Bankruptcy primarily deals with personal debt and very rarely deals with business debt. More commonly, businesses in Australia are owned and operated through corporate structures, which means those businesses could face issues relating to liquidation, voluntary administration or receivership. These matters are handled under the Corporations Act rather than the Bankruptcy Act. From time-to-time, businesses which are owned and operated under an individuals’ name may need to be managed in line with the Bankruptcy Act, but the vast majority of bankruptcy cases that we see relate to personal debt such as credit card and personal loan debt. How can declaring bankruptcy be beneficial? Bankruptcy can offer people a new start because, although there are some exceptions, once you are discharged from bankruptcy (usually after 3 years) you are released from your debts and simply put, you won’t need to pay them. This will include personal loans, credit card debts and taxation debts. The Bankruptcy Act requires your creditors to accept the assets that you have that are collected and sold as full and final payment of their claims. Nine times out of ten, people that you deal with on a day-to-day basis will not know you’re bankrupt. It’s something that happens administratively behind the scenes which will help you deal with your creditors. The phone will stop ringing from the debt collectors— so that pressure goes away which is often a huge weight of someone’s shoulders. The perception is that bankruptcy is really scary, but it’s not designed to create additional onerous financial obligations for the person that goes bankrupt, but to accept that someone has limited resources, provide them relief through an orderly process and commonly allows them to put the past behind them. Quite often people talk to family, friends or people they trust for advice, but they don’t necessarily have a thorough appreciation of the implications of bankruptcy. They get scared, put their head in the sand and don’t seek professional advice. What I always say to someone who is struggling to pay their debts is that there are no immediate implications from simply talking confidentially with an expert about your situation. It’s free to call the Government trustee or RSM to have a confidential discussion about your circumstances, and both will be able to give you more information about the implications of declaring bankruptcy so you can make an informed decision on what your next steps will be. Importantly, every case is different and there are many options available to deal with unmanageable debts, so speaking with an expert will assist you to understand all your options and which one is best for you. What are some of the downsides of declaring bankruptcy? For most people, the major downside is that if you have a divisible property like a family home or other personal assets, they may need to be sold to pay your creditors. People also often ask about the impact on their credit rating – however invariably in my experience, if you’re considering declaring bankruptcy your credit rating has most likely already been affected. Declaring bankruptcy just crystalizes your current situation. Bankruptcy can pose some restrictions on overseas travel; however in my experience, if you’ve assisted the trustee as required, filled out all the forms and provided them all the information they need to do their investigations, the trustee won’t reasonably refuse overseas travel. They’ll most likely just want to see that you’ve booked your return flights. Some other downsides are that your name will be listed on the National Personal Insolvency Index (NPII) database for life, and you can’t be a manager or director of a corporation which will impact people who work as contractors through companies that they are a director of or manage themselves. Again though, every case is different, so I would recommend that you meet with an expert to discuss your specific circumstances. What impact will declaring bankruptcy have on your business, employment or income? For businesses, if you are a sole trader or operating in a partnership of individuals, your business will be considered an asset and will need to be sold. In terms of employment, the trustee generally won’t contact your employer. We try to operate confidentially in the background and will only discuss your affairs with your creditors and authorised persons. I get asked a lot of questions about whether bankruptcy will impact various professional licenses and memberships, like those needed to be a solicitor, chartered accountant, builder or real estate agent. This will vary according to the industry and licensing body, so I encourage people to contact their professional organization on an anonymous basis to get an idea of how bankruptcy might affect them. Most organizations also have readily available information on their websites. It’s a similar scenario for public servants with a security clearance. In my experience, public servants have been able to continue to work and renew their security clearances at various levels, but again the assessment of applications for security clearances and maintaining them will be done on a case by case basis and ultimately at the discretion of the assessor and the Government. In terms of income, the Bankruptcy Act imposes a compulsory contribution regime for the period you are bankrupt (usually 3 years), where your income is assessed and if it exceeds a certain amount, you’ll need to pay a portion of that excess to your trustee. If you don’t have any dependents, you would need to earn more than $55,000 after tax before you would need to pay a contribution. Is there anything else you think is important to add? While there’s a stigma associated with declaring bankruptcy, in my experience, people facing it are often suffering from extreme stress, trying to avoid calls from debt collectors and in extreme circumstances, can’t afford to put food on the table because they’re trying their best to repay their unmanageable debts. Seeking an expert’s opinion about what bankruptcy will mean for you is the first step to relieving the pressure. There is a range of avenues and options that you can take which may even help you avoid bankruptcy, but the longer you leave it, the fewer options there are that are available to you. It’s important to seek advice as early as possible. It doesn’t cost anything to speak initially with an expert at RSM and there’s often no immediate implications, so the sooner you reach out for help the better. 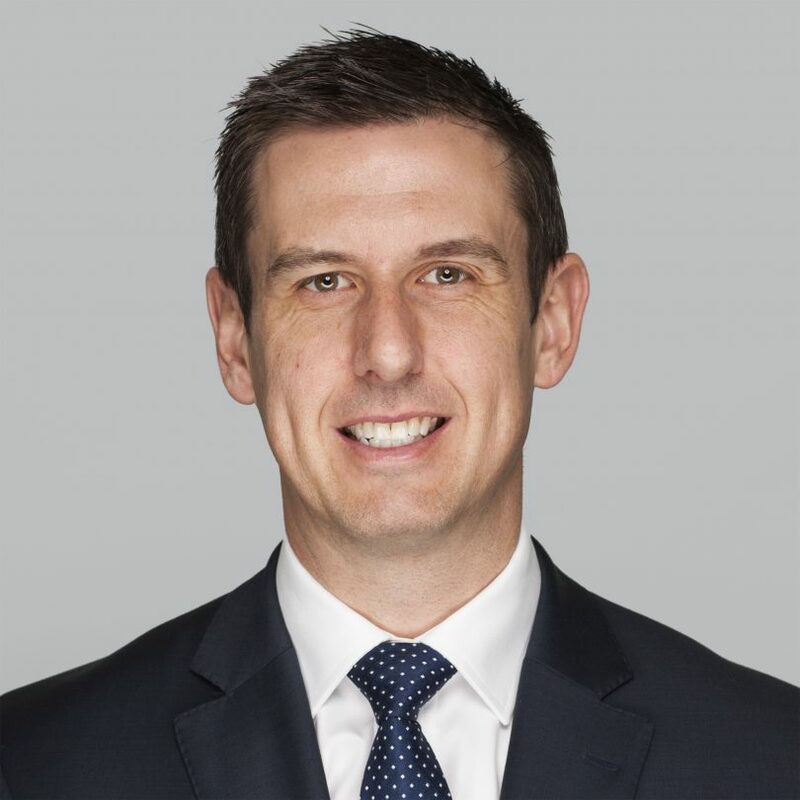 Jonathon Colbran is a Partner of the Restructuring and Recovery division at RSM Australia in Canberra and has over 15 years’ experience providing specialist insolvency and turnaround advice in the Canberra region, to corporations, individuals, creditors and government departments. 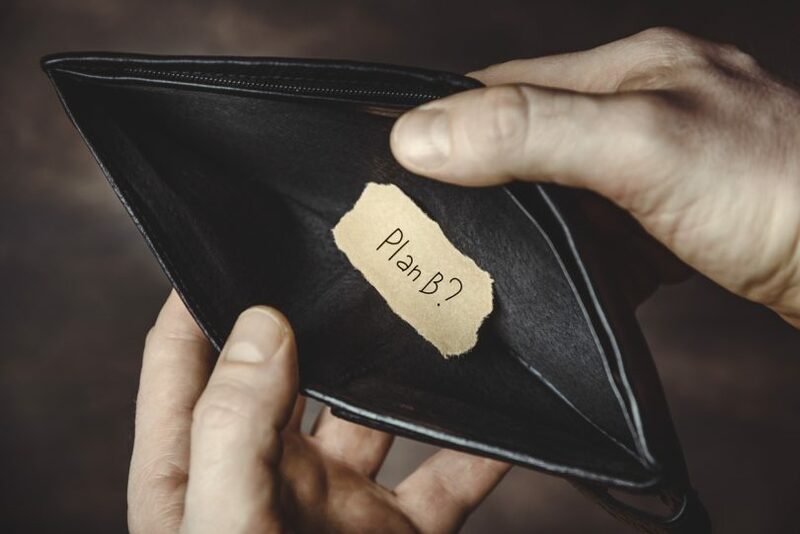 For professional, confidential, expert advice to help you decide if declaring bankruptcy is the best option for you, please feel free to contact Jon on Jonothan.colbran@rsm.com.au or 02 6271 0300.